The new Beats Studio Wireless look a lot like the old Beats Studio Wireless. In fact, aside from some slightly darker markings, they’re identical. The lack of a redesign isn’t a bad thing, especially since the guts got a couple of nice upgrades. They include Pure Adaptive Noise Cancelling (ANC), a new type of noise cancelling that might be more marketing than tech, and the new-ish Apple W1 wireless chip that’s supposed to improve battery life and connectivity. For $350, good noise-cancelling and great battery life should be a given. Before we dig too deep into price and value, however, let’s talk about build quality and, more importantly, sound quality. Past gripes with Beats headphones include questionable design decisions that lead to flimsy headphones. Indeed, when I tested the first generation Beats Studio Wireless, bits of plastic started breaking after a couple weeks of light use. I didn’t have this problem with the second generation Studio 2.0 headphones or the latest Studio3 set. The new model feels lightweight and reasonably solid, but it’s also missing true high-end treats like the leather details you find on Bowers & Wilkins headphones or the bombproof industrial design of Sennheiser Momentums. This gulf in premium design features extends to the sound quality equation. 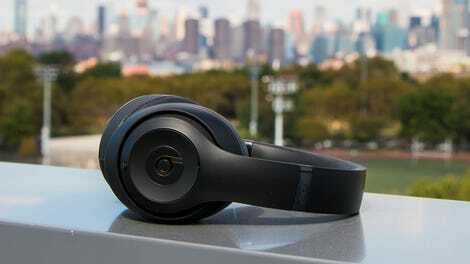 The Beats Studio3 Wireless sound dreadfully adequate. Classics like “Jolene” by Dolly Parton sound lovely, with warm bass and a natural-sounding guitar track. Yet if you like innovative jazz like “Cantaloupe Island” by Herbie Hancock, you’ll be a little disappointed that the Studio3 tuning doesn’t quite bring out the full sound of the orchestra, leaving the song sounding a little contained. The headphones surprisingly have a hard time with electronic music. “Genesis” by Justice lacks the guttural low end you might hear on a high-end speaker, and the trebles sound shrill. Overall, however, the sound quality is probably fine for the average listener. The biggest upgrades have little to do with the songs you’ll listen to. Both the W1 chip and the Pure ANC are Apple inventions. The company announced the W1 chip a year ago as a custom piece of Bluetooth-based hardware that offers a more dependable wireless link between the headphones and your device than the standard Bluetooth connection. The W1 chip also offers extra efficiency, so you get some crazy battery life out of your wireless devices. Beats says the Studio3 headphones go 22 hours with Pure ANC on and 40 hours with the noise-cancelling off. The Studio3 battery definitely lasts two workdays of on-and-off listening with noise-cancelling on. For some reason, Apple decided to keep the Micro-USB port for charging, whereas the BeatsX wireless earbuds now use a Lightning port. Does Pure ANC do all that? I don’t know. Apple loves its buzzwords, and there wasn’t any indication that this new Pure ANC was anything but a slight improvement over the regular, old ANC in the second generation Beats Studio Wireless. My favorite noise-cancelling headphones, the Sony 1000X, definitely offered better noise-cancelling than the Studio3 wireless. So while improvements are great, the Studio3's buzzword-y Pure ANC still isn’t best in class. I’ll be the first to admit that the new Beats Studio3 Wireless headphones are better than the old Studio Wireless headphones. The noise-cancelling is indeed better, and the battery life is definitely better. At the end of the day, though, you’re looking at a $200 set of headphones that Beats wants to sell you for $350. You can do better. Those awesome Sony headphones I mentioned above just got an upgrade, too, and they also cost $350. If you want noise cancelling headphones, buy those. If you want a really beautiful-looking set of wireless headphones, pay a little more and get the Bowers and Wilkins P7. If you want to spend less and get something that’s just as good as the beats, try the JBL Everest Elite 750NC. The Bose QuietComfort 35 Wireless, which also cost north of $300, are time-tested road warriors with excellent noise cancelling. This is all assuming you’re not just looking for the best Beats headphones because you like Beats and you’re going to buy them anyways. If that’s the case, you found them. 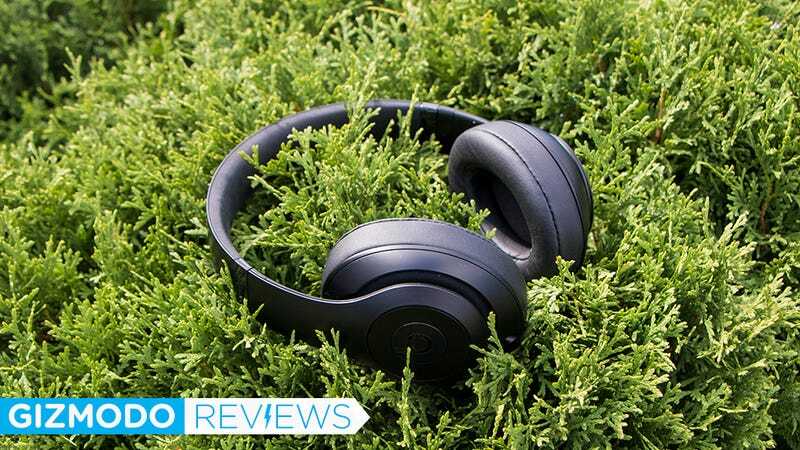 The Beats Studio3 Wireless aren’t the best headphones you can buy, but they’re definitely the best Beats headphones you can buy.